We are 4 months in to 2017 and my One Word for this year has been more persistent than any of my other One Words chosen in years past. I actually began to pray about my #oneword2017 at the close of 2016 and thought I had the perfect one. Then one day around the last week of December, God said, “Hungry. This is your word.” Like I said before, this One Word has not left me alone. And y’all, I am so okay with that. This kind of hungry isn’t the kind where I run through McDonald’s and grab a cheeseburger. This kind of hungry isn’t the kind where I can pop a TV dinner in the microwave and wait a few minutes. This isn’t even the kind of hungry where I can slave over a home cooked meal and eat with my family and be full. No. 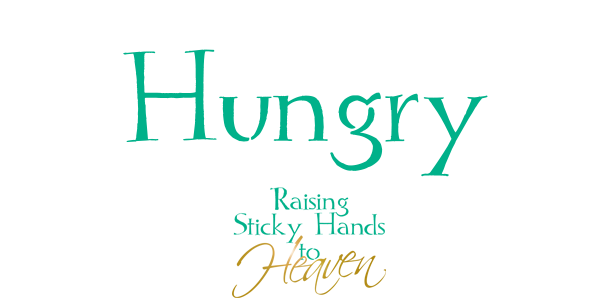 This kind of hungry is a spiritual hunger that only God can satisfy. But no, I will never truly be satisfied. Cause when God fills this hunger, I only become hungrier for Him to fill it some more, and more, and more. And again, I am so okay with that. When you are sincerely hungry you do whatever it takes to eat. Just ask the homeless man who digs through trash or dumpster dives. It’s the same spiritually…when you are hungry, you are willing to do whatever it takes. I always chuckle when I scroll through my Facebook news feed and see the meme that says something along the lines of, “I hate it when I go to the kitchen and there’s no food– only ingredients.” I can totally relate to that. Listen when I say this girl loves food and loves it to be available 24/7. But when you are truly hungry, really reallllly hungry, you grab those ingredients and get to cooking! It’s either that or starve. Many times in the natural we gorge ourselves and live like gluttons. Why is it that we live the complete opposite spiritually and we tend to let our spirit man starve? It makes no sense, yet this is true for most Christians. It’s so easy on Sundays because we run into our church services and someone else has done all the work. The meal has already been prepared, we sit down, eat, and leave. What about Monday through Saturday? We’re too lazy to feed ourselves so we starve the spirit. We don’t want to dig in to the word or seek God in prayer and because of our complacency we are leaving ourselves to be spiritually dead. God wants us to be hungry because He longs to fill that hunger. There has never been a time that my husband has went to his mama’s house hungry and left hungry. Why? Because when she sees that he’s hungry, she says, “What do you want? Let me fix it for you.” And then she begins the process of making sure her child gets filled. She’s more than happy to feed him. When my babies are hungry I don’t make them stay that way. I’m glad to feed them and watch them grow. So it is with God! He’s more than happy to feed and fill His children any time they show up hungry. I have been in the presence of the Lord. I have tasted of His goodness. And because of that, I have decided that it’s up to me to stay hungry enough that I’m willing to do whatever it takes so He can fill me over and over. Like a drug addict constantly chasing that next high, I will allow my hunger to fuel my chase of a fulfilling God. Just like a baby starts with milk, then moves on to milk with cereal, then moves on to baby food, then one day Mama gives that baby a little taste of mashed potatoes… There’s no turning back when baby has had a taste of the good stuff. When you’ve had the good stuff you’ll never be satisfied with anything else. I’ve tasted the good stuff and I’m hungry for more! What about you? Did you pick a word for 2017? If so, tell us how it’s going! We are human. As humans we have a tendency to fail. We fail each other, we fail ourselves, and we fail God. Is this our plan? Do we fail on purpose? No. We don’t set out to fail. Most people don’t wake up one day and choose to fail. BUT we are human and it happens. Because of that tendency to fail, we also have a tendency not to trust. We don’t trust our family, our spouse, our children, our friends, our coworkers, etc. Many times our distrust is not unfounded. And many times this distrust filters into our relationship with God, the One we can most definitely count on at all times. 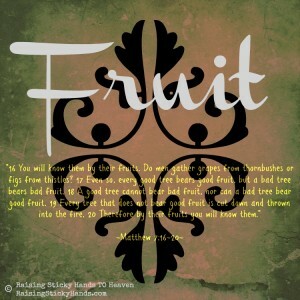 The Bible is filled with scripture after scripture letting us know how important it is to trust God. 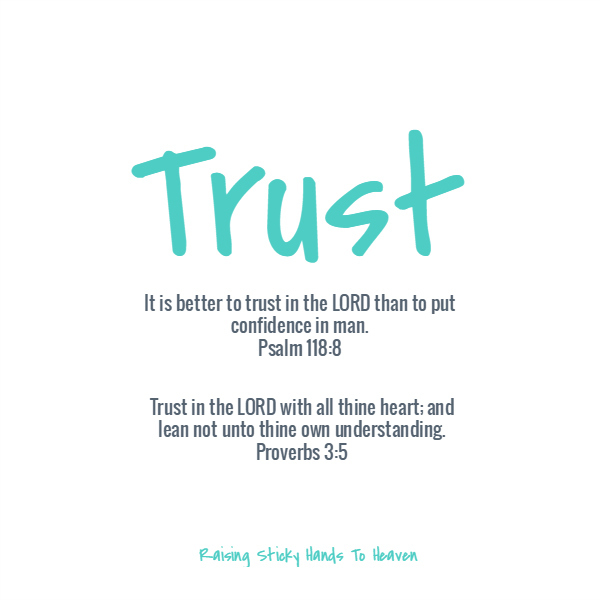 Psalm 118:8 tells us “It is better to trust in the LORD than to put confidence in man.” Then over in Proverbs 3:5 it says, “Trust in the LORD with all thine heart; and lean not unto thine own understanding.” See, sometimes we can’t even trust ourselves. God, however, we can trust wholeheartedly. He is the only One who will never fail us. Life is filled with ups and downs, twists and curves, situations and circumstances beyond our control. Fully trusting God can be hard, but I am choosing to trust in 2016. I’m determined that no matter what it looks like/sounds like/feels like, I will continue to trust in the name of the Lord my God! He is my faithful Father, my All in All, my Alpha and Omega, and my Everything in between. He will never leave me nor forsake me. He is my very present help in time of need. In Him will I trust! 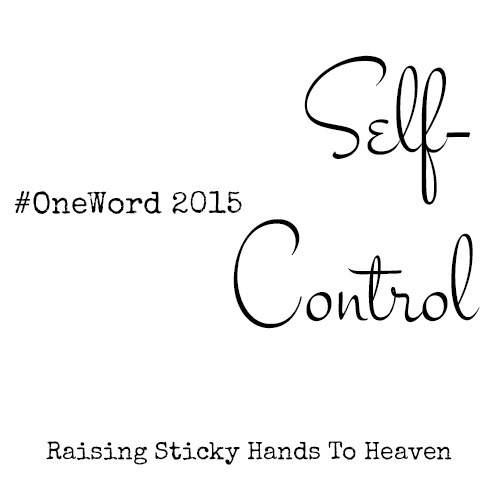 What is your #OneWord2016? Let us know! 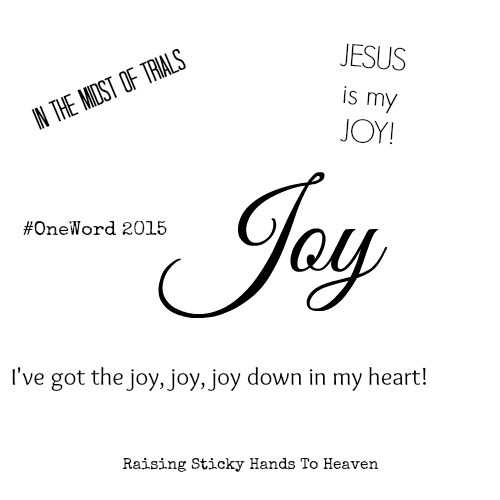 My one word in January 2014 was JOY! How I tried to find the JOY in each day. I did this for about a month. I had every intention of finding the JOY in everyday. Then Emma got sick. 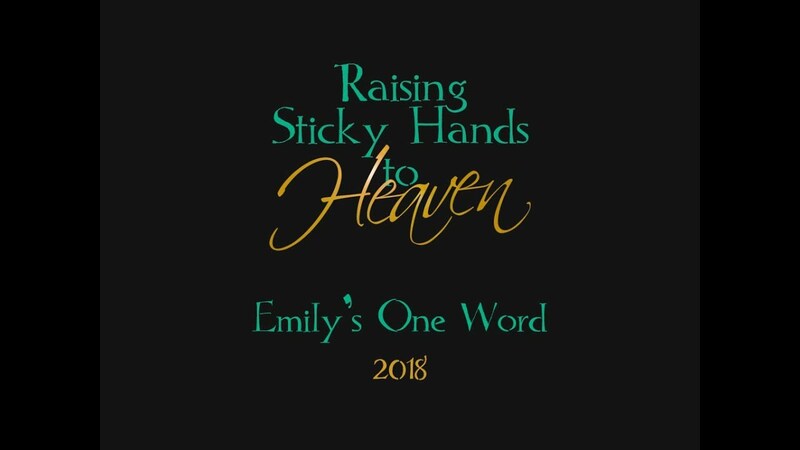 Emma, our last beautiful gift from God, has Juvenile idiopathic arthritis. Basically her immune system attacks itself, it attacks her joints. The joints affected start at her jaw and really goes to her toes. It’s in her spine, hands, wrists, hips, tailbone, knees, ankles & toes. When Emma gets “the common cold” or any other illness her body cannot fight it. In January she got influenza A. We were away when she got sick. I still found the JOY. She didn’t have to be admitted to the hospital. Medicines seemed to be helping. She was doing ok. Emma didn’t really recover from the flu & got strep. Then an ear infection, then a sinus infection, then another ear infection, then another sinus infection, then she got C-Diff. Emma was sick for 6 months. At the end of May Emma started to feel better. Being sick for so long took its toll on her as well. She was sad. Couldn’t understand why this was happening to her. Her awaking happened about the same time as mine. She went to arthritis camp & had a blast, she was flared up badly and spent quite a bit of time with the nurse. In July my Dad & Step-mom blessed us with funds to come visit everyone in New Hampshire. It was truly a blessing to go there. I had been really homesick and needed to hug my Mom, Dad, step-mom,sisters & nieces. I just needed my family. We had some great adventures out there both, with family & alone. We went zip lining and by we I mean Sophia & Emma. I sat at a coffee shop having an iced cuppa. We went to the White Mountains and just soaked in God’s beautiful creation. We went to the ocean and again was mystified at its beauty. We saw a wild black bear at my Dad’s house which was amazing! We sat out by the campfire watching the shooting stars & just having amazing conversation. If it makes any sense, I have faith, I love Jesus and believe in Him with all my heart, but at the same time I was lost. I didn’t pray. I didn’t read my Bible. I wasn’t depending on my Creator to heal my child. I realized in October my JOY was forgotten. All I needed, all I wanted was for my beautiful child to be healthy. I forgot about God. I didn’t pray, I didn’t read my Bible. I didn’t really go to church. People, family, friends would ask how are you? I’d lie and say everything is wonderful. Friends would invite us over or out and we would decline. Emma can’t be around anyone with a runny nose or cough. While all this was going on I withdrew. I stopped relying on my friends. Depression set in for me. My friends reached out, on more than one occasion. I had shut down. Some of my friends aren’t really my friends anymore. That makes me sad. Sad that they just don’t understand. Emma looks fine, she even acts fine. What no one sees is when we get home she is tired, her body hurts. She will never complain. I’ve learned her cues. I know when something is bothering her. Emma is sick. Emma. Is. Sick. I claimed that. I didn’t claim Emma is healed by what Christ has already done for her! For 10 months I claimed the wrong thing. In September Emma started a new medicine. It requires us to go to the hospital 3 hours away once a month. After the 1st 2 treatments Emma was starting to come out of this chronic flare she had been in for 9 months. I realized, JOY! I also realized, as much as I believe in God, as much faith as I have in Jesus I realized I hadn’t fallen at the feet of Jesus. I hadn’t prayed. I hadn’t read my Bible once this year. I was present, but I wasn’t. About 6 weeks ago Emma got sick. Strep. Sinus infection. Bronchitis, belly virus. Trips to the doctor. Trips to Iowa City to see the specialists. I realized today a few weeks ago at church that I still am not relying of God. Why am I not? At church today a man shared his testimony about the day his daughter was born. She was born by emergency C-section. She was born lifeless and grey. The doctors took her to work on her. He was praying with his wife and clearly heard the Spirit say go lay hands on your daughter and pray with her. He told his wife and she said go, go like he should have been gone 5 minutes ago. He went to the NICU and told the 15 nurses and doctors working on his daughter he needed to pray with his daughter. His prayer? LIFE! In Jesus name LIFE! In that moment his daughter started breathing. Her heart was beating on its own. Her color went from grey to pink. She opened her eyes turned her head and looked at her Dad & smiled. LIFE! I realized today I can rely on my Christian friends. I can ask my family/friends to pray for my children. I can ask God for anything. He’s been telling me for months- FALL ON ME! I’ve already healed her. You just need to believe and have faith. Go to your church elders and have them lay hands on Emma. Danielle SHE IS HEALED. I claim this. She. Is. Healed. JOY in everything. Joy in everything. Jesus is my JOY. So for the coming year my word is joy. I’ve got the joy joy joy down in my heart!